KIEV, Ukraine — Kateryna Filip was a certified English teacher in her homeland. She now works abroad as a cleaner. It was tough decision but one she is convinced will ensure her three children have a brighter future. The 34-year-old is among the millions of Ukrainians who have left the country as part of a devastating brain drain. She says the lack of well-paid jobs, rampant corruption and a war with Moscow-backed separatists in Eastern Ukraine made her and her husband, Vasyl, decide to seek a better life in the Czech Republic. "There is nothing waiting for our kids here," Kateryna Filip says while sitting in a pizza joint in the heart of Kiev. "We love Ukraine, but it doesn't love us back." While there are no official statistics as no census has been conducted since 2001, it is estimated that as many as one in 15 Ukrainian citizens is working abroad at any given time. Deputy Prime Minister Hennadiy Zubko has called the exodus "one of the greatest threats facing Ukraine after military aggression" while a former head of its foreign intelligence service has called the situation"a national tragedy." Ukrainian Foreign Minister Pavlo Klimkin last year said that 100,000 people were leaving the country every month. Since the country became independent in 1991 after the fall of the Soviet Union, its population has dropped by almost eight million people to around 44 million. The United Nations estimates that by 2050, the number will shrink to 36 million. And 50 years later, the world body predicts, that number will dip to 28 million. Falling fertility rates also play a role, but migration is a key part of the equation. Ukrainian President Petro Poroshenko previously said that economic migration is a "normal process." "If you are a teacher with a college degree or own a business and you are ready to leave all that behind and go abroad to clean floors, then no, it's not normal," Kateryna Filip said. Vasyl Filip, 23, met his wife while he was fighting on the front lines in Eastern Ukraine in 2015. Only months earlier, the country's pro-Russia president had fled after a revolution triggered by his refusal to forge closer ties with Europe. Vasyl Filip says few opportunities and little support greeted him after returning from a year of war. Initially, he found work in Poland, and now is employed as a roof repairman in the Czech Republic. Kateryna Filip traded the classroom for what she calls a "dirty job." But asked about what it would take for them to return permanently to the country he defended as a soldier, Vasyl Filip gets emotional and admits there is little chance of that happening. "If we had any hope, we would never go," he said. Experts highlight that every Ukrainian who leaves in search of a better life is contributing to the loss of one of the country's most valuable resources — human potential. Ukrainians working abroad sent $11.6 billion home last year. That number is expected to rise to $12.2 billion in 2019. Ella Libanova, director of the Kiev-based Institute for Demography and Social Studies, estimates around 3 million Ukrainians are working abroad at any given time. "The people leaving are mostly working age, making the loss especially poignant," Libanova said. "It's the age when people are at their professional peak, and also when they have children." She said that while the number of economic migrants leaving Ukraine has traditionally been high, most people eventually tended to return. That changed when the war broke out in 2014. "Previously, the migrants who went to Russia would come back, but the migrants who have their sights on Western Europe try to stick around and not come back," Libanova said. "So, it's not your typical cyclical migration. Those who go abroad and find acceptable work tend to stay." 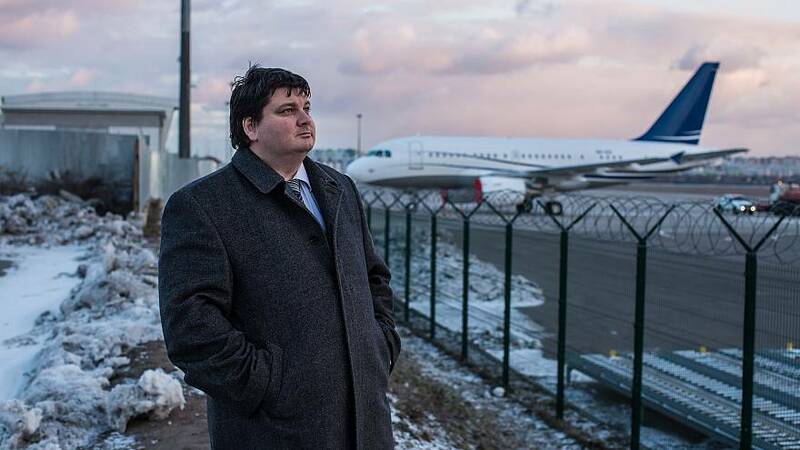 Oleksiy Luponosov, 39, is among those who wants to leave Ukraine for good. The financial consultant plans to move his family to Germany over the next couple of years. Luponosov blames the government for not doing enough to motivate people to stay — and believes the country's leaders are oblivious to the impact of the brain drain. "The creative people who are leaving — they are going because they feel no support here," he said. He says he is heartbroken to be leaving Ukraine, but feels he has no choice. "The graves of my ancestors are here. I love this country, its people, language and traditions," Luponosov said. "Somewhere inside, I feel like a traitor. My heart will stay here, but to save my family, I have to leave." Up to 2 million Ukrainians live in Poland, according to Polish Foreign Minister Jacek Czaputowicz. He lauded them for working in key areas of the economy and "contributing to Poland's development." They include Oleg Yaroviy, who moved to Warsaw with his wife, Inna, three years ago. After establishing a successful coffee shop, they are expanding with three new outlets opening later this month and planning to sell franchises, as well. "There is more bureaucracy in Ukraine — that's a fact," Oleg Yaroviy said, adding that it was easier to "do things efficiently" in his adopted home. He says they are comfortable in Poland — enjoying things such as good public transit, roads and health care. "You can feel this comfort in small details," he said. Five years after the 2014 revolution that saw Ukraine embark on a pro-Western path, some say change has been slow. 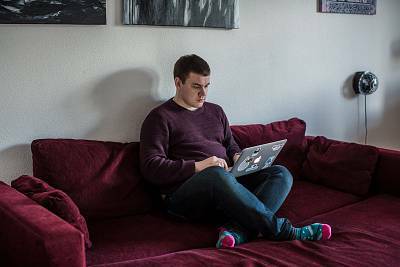 For software developer Viktor Yankauskas, 29, leaving Ukraine is about more than weak economy and a lack of jobs. Yankauskas says he is able to make good money in Ukraine, but plans to move to Berlin due to concerns about the level of violence in his country — a direct consequence of the war in the east. "The society is on the edge," said Yankauskas, who is already studying German. "I just don't have time," he added. "I only have one life and I am not ready to wait another 10 years for basic changes to take hold in Ukraine." Yankauskas says he is terrified about the presidential election that will be held on March 31. Comedian and actor Volodymyr Zelensky, who has no political experience, is currently leading the polls — something that Yankauskas finds shocking. "It's painful for me to realize that a country that has lived through all the dramatic events of the last five years is ready to vote for a comedian as their next president," he said. "I think that's more of a treason that leaving the country altogether." Mathematician-turned-photographer and model Angelina Moskalenko, 28, isn't quite ready to give up on her homeland yet. Better known by her professional pseudonym Angelina Hardy, she returned in early 2018 after years of working abroad "to invest" in Ukraine — both financially and emotionally. While she has recently been offered a photography position in Sri Lanka and is tempted to leave again, she feels she owes Ukraine another chance. Hardy says it's clear to her that the country is bleeding intellectuals — 80 percent of people in her mathematics course have already left the country. "Those qualified, talented people who could have left by now, did," she said. "And that's very sad." Hardy wants to start a photography school in Kiev, and is giving herself — and the country — a year. "To change Ukraine you need to be here," she said.